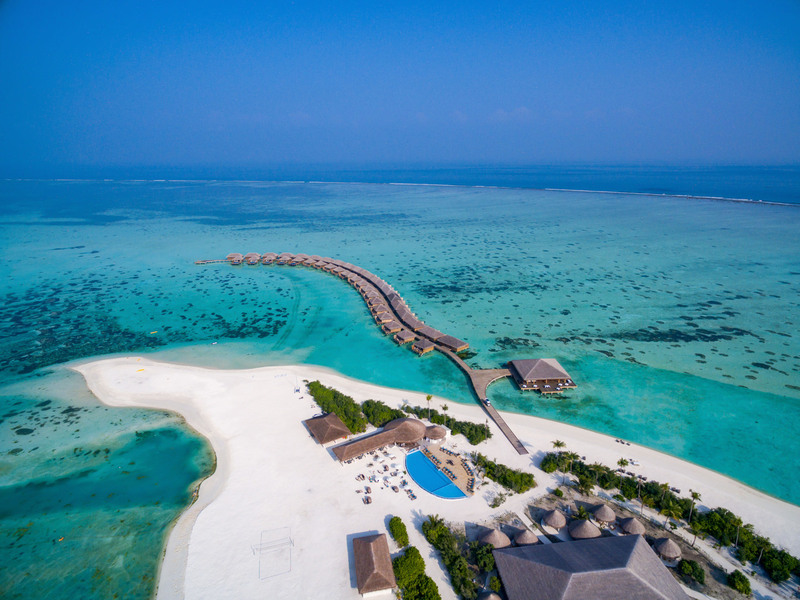 A flurry of new resorts have opened in the Maldives over the past couple of years, tipping the grand total number to more than 120. Many more are set to follow this year and next year. Here’s everything you need to know about the exciting new openings. This fresh, contemporary-looking resort strikes the perfect balance between laid-back and romantic. 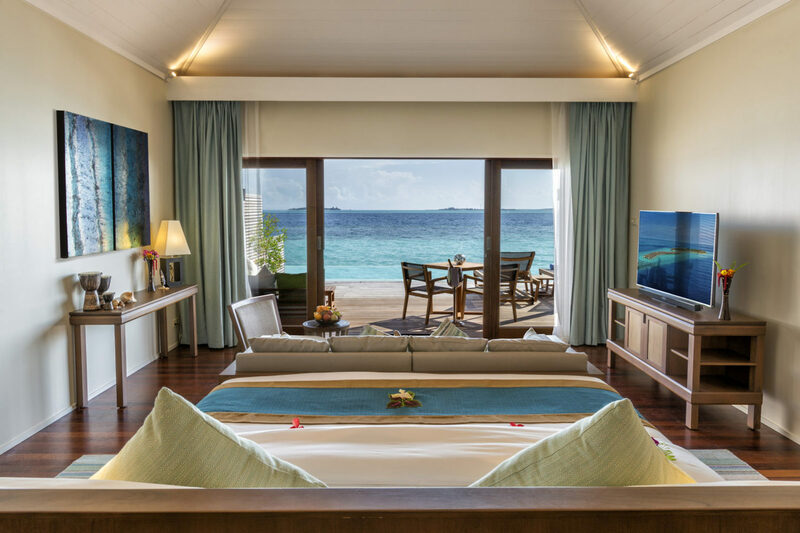 Bright but tastefully-decorated beach villas feature romantic drapes over the large, plush beds and coral, moss green and stone grey accents, while the water villas windows in the floor so you can watch the sea-life below. Oblu Select at Sangeli offers an excellent-value all-inclusive Serenity Plan. Encompassing meals, snacks, unlimited branded drinks and selected activities and excursions, it takes the headache out of budgeting for your holiday. Learn more about Sangeli…. This beautiful five-star resort perfectly encapsulates a dreamy, rustic-luxe aesthetic. Although it’s brand spanking new, Milaidhoo Maldives seems to blend harmoniously into the lush island. The romantic atmosphere and décor makes it particularly ideal for honeymoons, although families are made to feel equally as welcome. It’s consistently very highly-rated by users on independent hotel review websites (which is also a good sign). If you like your resorts modern, unfussy and unpretentious you’ll love the clean lines and fresh appearance of Kandima Maldives. The rates are also very attractive! This classic Maldivian resort looks like it could have been here for years – in a good way! 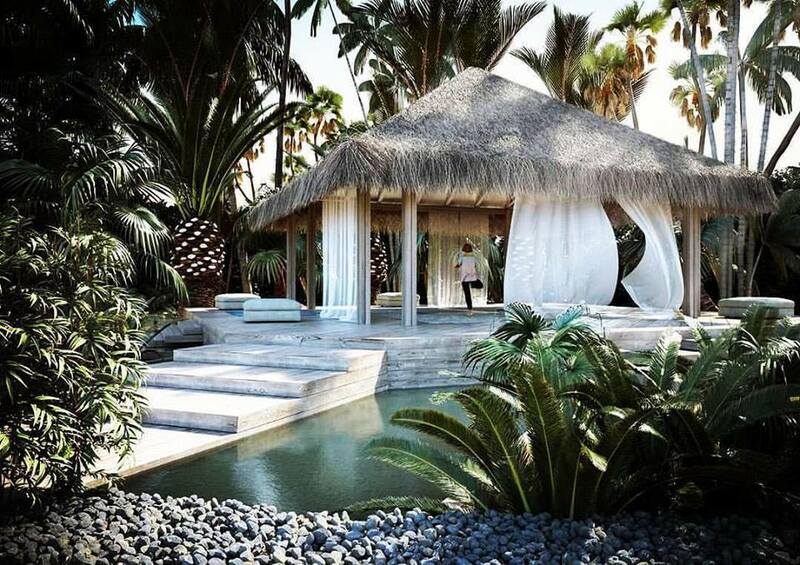 What I mean is it features boho-chic wooden villas topped with coconut thatch set next to prerequisite plunge pools. It doesn’t look out of place nestled on the island and everything has been both built and maintained immaculately. Anyone who loves an intimate atmosphere will enjoy this attractive little sliver of paradise. While the island’s dimensions don’t allow for much vegetation, it’s a tranquil haven for honeymooners. A particularly romantic feature is the M6m underwater restaurant, with glass walls and mirrored ceiling panels to reflect the luminous blue glow and shapes of the fish darting past the windows. Hurawalhi Island Resort is another bijou island that’s particularly suitable for honeymooners. One of the highlights is the aquarium-style underwater restaurant with 180-degree glass walls. The views of the reef from the restaurant are superb. Cocoon offers a great value experience for guests looking for luxury without a high-end price tag. The stylish, Italian-designed, minimalist villas provide contemporary comforts under the shade of a coconut thatch roof. This one’s been causing quite a buzz on social media lately, due to the new outdoor art installation, called the ‘coralarium’, which is partially submerged in the ocean! Sirru Fen Fushi offers extremely stylish rustic-luxe villas with high quality furniture and décor, generously-sized private plunge pools and a breath-taking 200m-long freshwater swimming pool stretching across the island right to the shoreline. The artistic vibe permeates the resort. The developer clearly wanted to create a unique identity for the Mercure Maldives, rather than imitate others. The sense of space and light inside the octagonal villas has been cleverly optimised and the colourful décor has a distinctly European but contemporary look. This feeling is enhanced by antique-style prints of French maps on the walls. These touches are blended with local materials like coconut thatch and wood. The remote location is a major benefit; there’s an unparalleled sense of seclusion at the resort and the reefs are in mint condition. 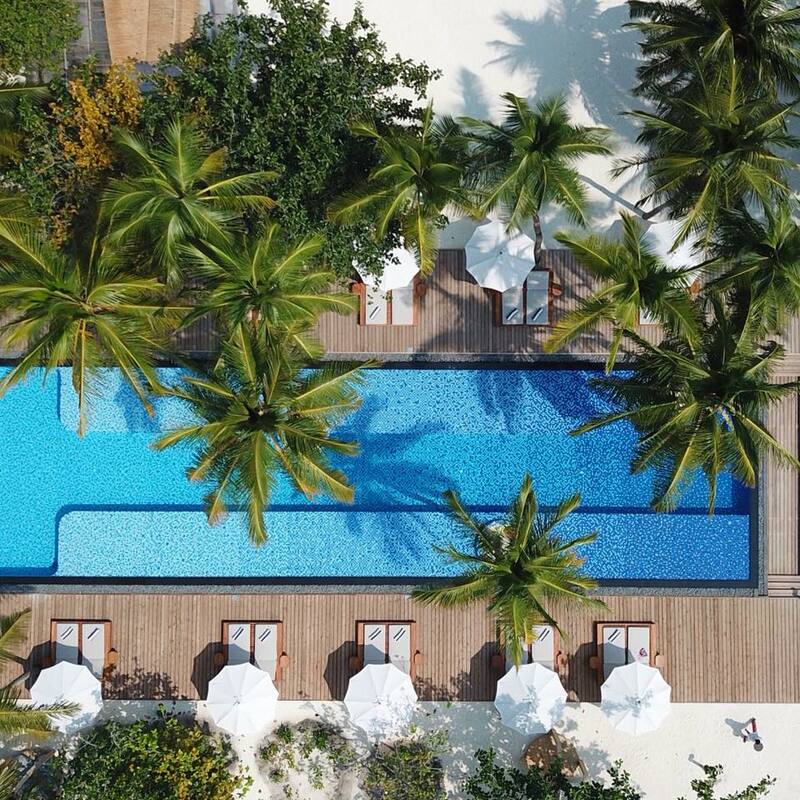 Following the highly-anticipated opening of Soneva Jani, everyone wants to know: “Is it worth the hype?”. Most definitely, yes. This brand was the pioneer of the luxury resort concept in the Maldives in 1995 when they opened Soneva Fushi, a resort which is still acclaimed today. Soneva Jani manages to delight and charm guests in so many ways, just as the other Soneva resorts do. From the playful features such as water slides on some villas to impeccable tropical design, stellar service and world-class cuisine, Soneva Jani can’t fail to please. Many more resorts poised to open during the rest of 2018 and into 2019. 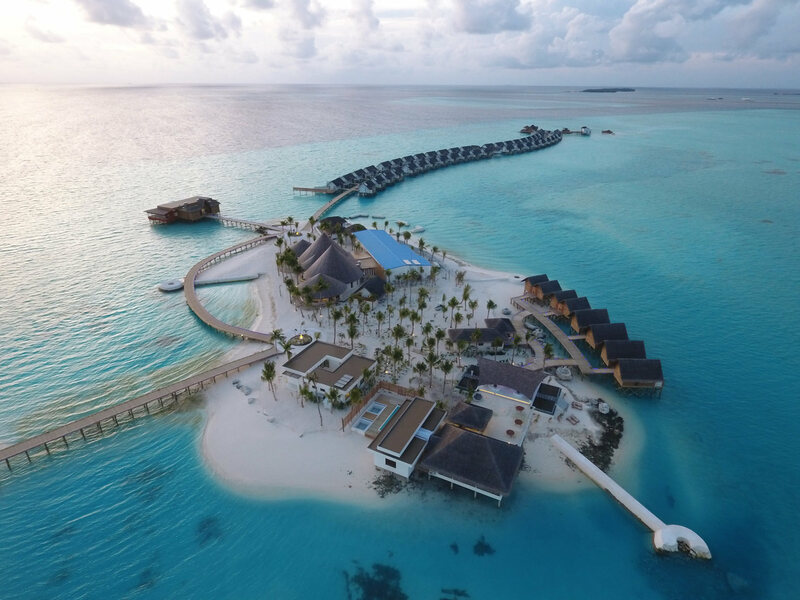 They include some brand debuts in the Maldives, as well as some new resorts for companies that already have a foothold in the Maldives. It is set upon a beautiful little island in Shaviyani Atoll; an atoll with only a handful of resorts in it. 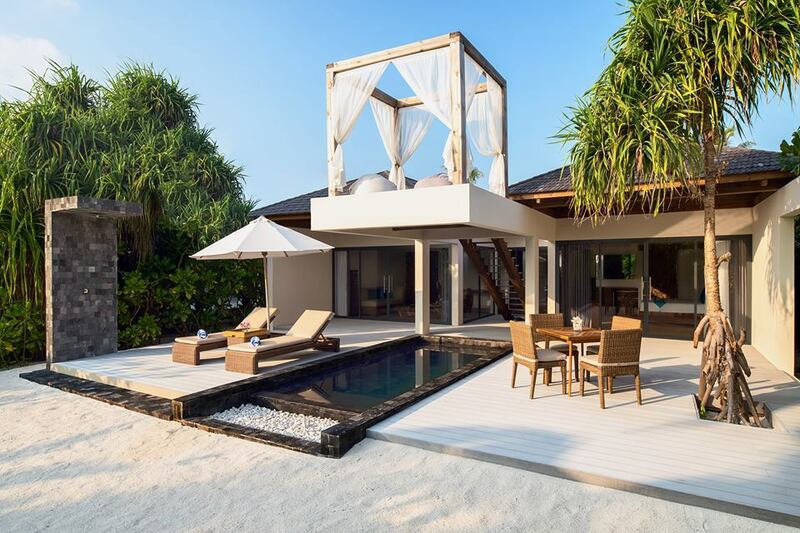 The distinctive design of the villas is genuinely like nothing else the Maldives has seen before (so many resorts make this claim, but this really has a basis!). The roofs are set at a jaunty angle and resemble turtle shells from the air. Images reveal elegant-looking décor, large windows to maximise daylight and luxurious bathrooms set in an alcove. The restaurants and communal areas convey a tasteful, high-end atmosphere and a lot of thought has been put into the design. This is the first venture in the Maldives for Italian company, Emerald Collection. It is affiliated with the Leading Hotels of the World consortium, which is a sign of good quality. The company already operates two resorts in Zanzibar. The cute, contemporary, sugar-cube villas feature crisp, white décor with accents of coral red. 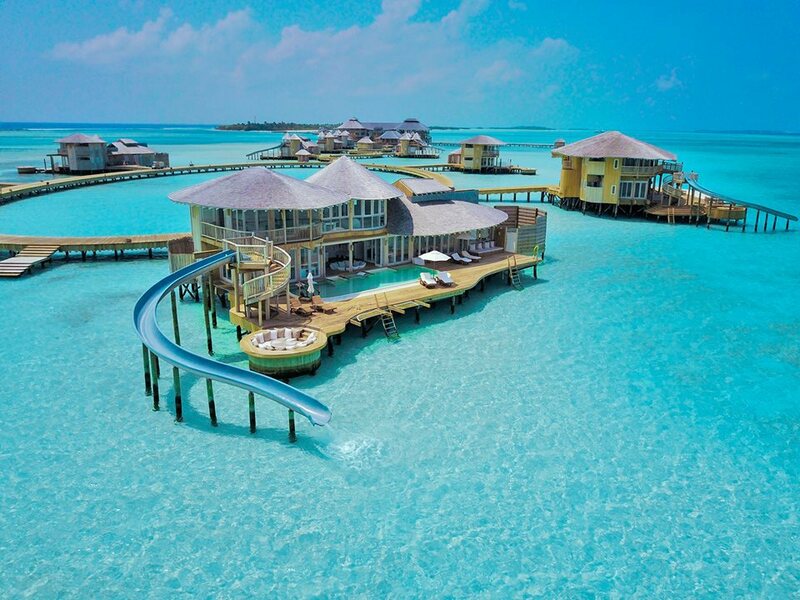 A lot of the foliage has been preserved on the island, so the beach villas are discreetly tucked away behind them while the water villas stretch out on a very long jetty over the lagoon. There’s even space on the island for two tennis courts and a five-aside football pitch. The Italian love affair with the Maldives continues! 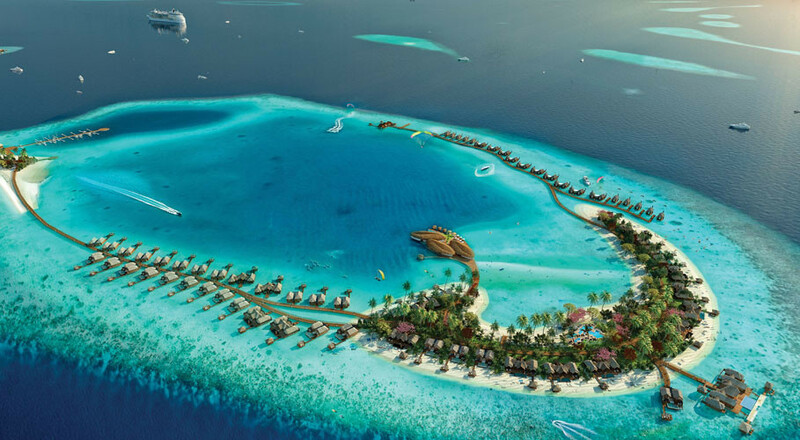 Baglioni Hotels has teamed up with Constance Hotels and Resorts to create the new Baglioni Resort Maldives. Baglioni Hotels is not only a member of Leading Hotels of the World but also the respected Relais & Chateaux. As for Constance, this brand has been operating two gorgeous hotels in the Maldives for many years (Constance Halaveli and Constance Moofushi). With this kind of expertise, excellent design and impeccable service is guaranteed. The team is promising ‘prestigious gourmet dining’, contemporary tropical design, well-preserved foliage and a PADI Gold Palm 5 Star diving centre. 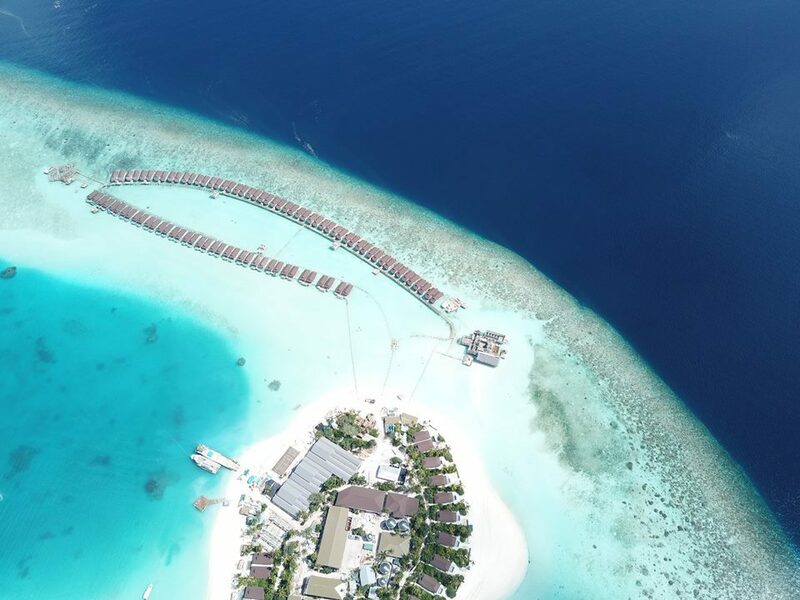 This resort should be opening in early 2019 and builds on the brand’s success in South Ari Atoll after rebranding from Diva. The South Ari resort is extremely popular; offering a luxury resort experience at affordable rates. 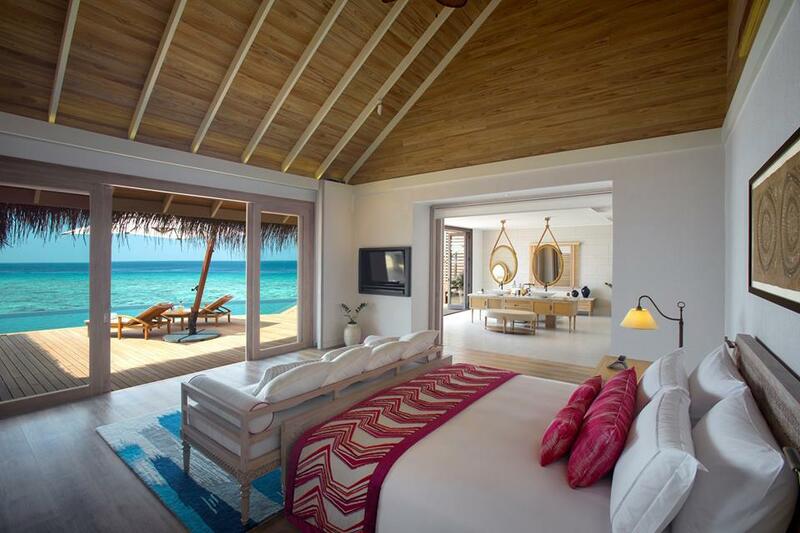 The new LUX* resort in North Male’ Atoll has been created by the brand from scratch. The Waldorf Astoria is returning to the Maldives, having previously operated the resort now known as JA Manifaru. Ithaafushi means ‘pearl island’ in the local language. 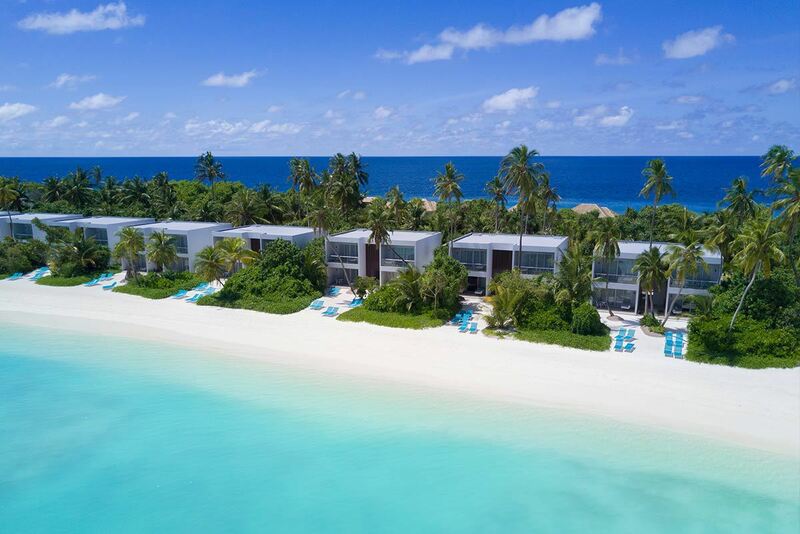 This ambitious project encompasses three islands but there are only 138 villas, which indicates their positioning and giving them ample space has been taken into account ( sure-fire sign of a high-end resort). Some of the villas have large areas of glass flooring. The resort also has a beach champagne bar, a treehouse restaurant and an organic restaurant, amongst others. 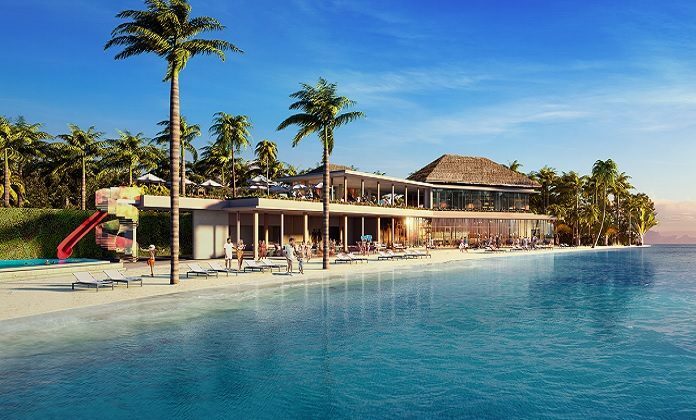 This is part of the never-been-seen before concept in the Maldives known as the Emboodhoo Lagoon project, whereby multiple resorts will be linked together with retail, eateries, entertainment and recreation venues, as well as a marina. When complete, the project will encompass nine islands. The Hard Rock Hotel will be geared towards ‘upscale’, multigenerational guests, particularly families. 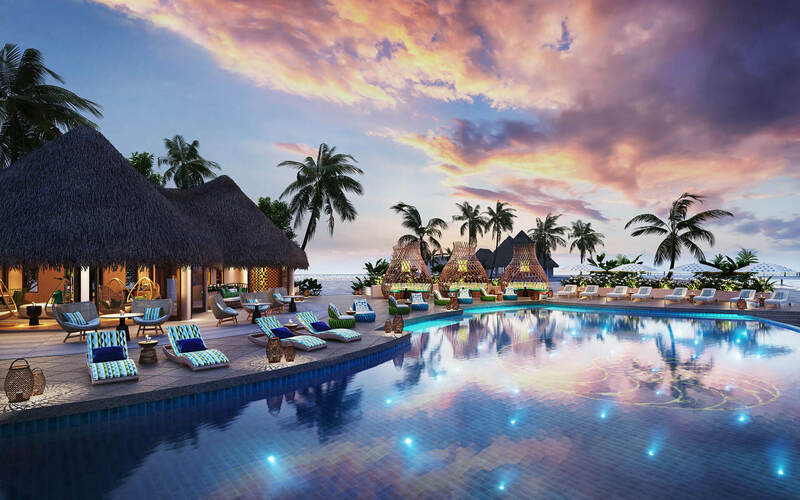 Tropical architecture meets the Hard Rock Brand – there will even be ‘rock star suites’. Far-flung Noonu Atoll is the location for the long-awaited Movenpick resort. Movenpick capitalises on the island’s raw, natural charms and uber-secluded setting to create a resort that’s contemporary and luxurious but at the same time, blends seamlessly into the landscape. Although privacy and seclusion are two of the big selling points, Movenpick has created plenty of facilities to attract families as well as couples. This is another new voyage into the Maldives! 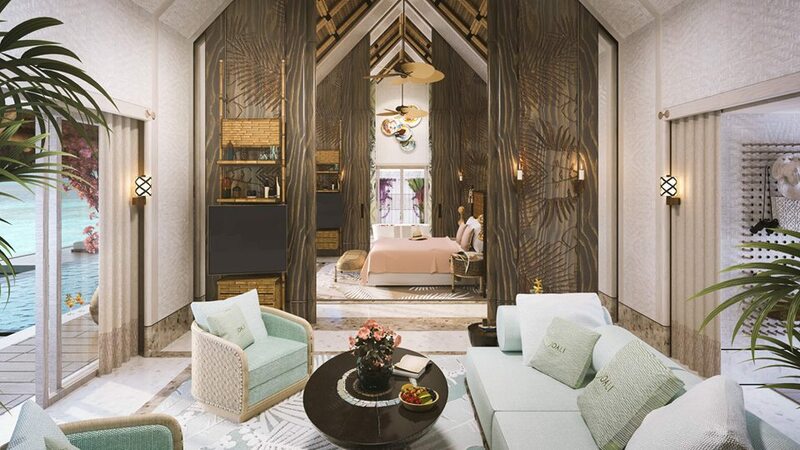 Japanese brand, Noku Roxy Hotels, is launching an exciting new resort featuring villas with monochrome interiors and elements of Japanese design, combined with manta motifs and tropical influences. The monochrome colour scheme continues throughout the communal areas of the resort, with small splashes of coral red. The simple palette accentuates the vibrant beauty of this cute little island, which has an enticing natural sandbank just metres from the shore. 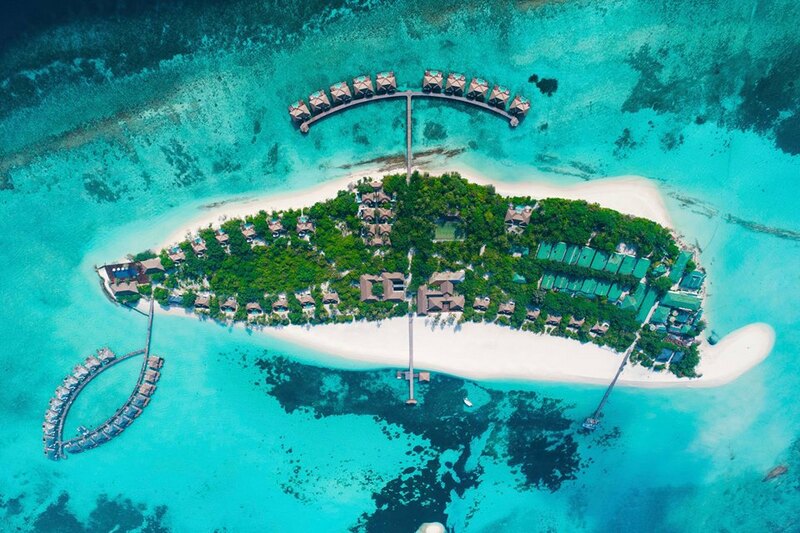 From above this island resembles a teardrop attached to a double helix of water villas. 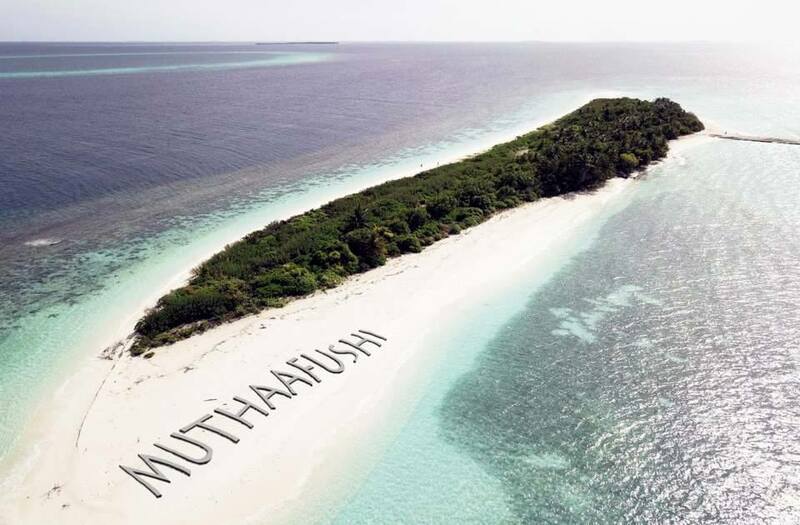 It is encircled by a ring-shaped coral reef that gives the island its Dhivehi name, ‘Muravandhoo’. During construction 1,000 trees were preserved, which that the landscape looks beautiful but as an added bonus it will stay cooler than many other new constructions. The villas really have to be seen to be believed – they’re unconventional and adventurous, blurring exotic design with high-end luxury. There’s even an art studio and gallery to celebrate craftmanship and artistry, while special features like an ice-cream shop, an impressive library and an underwater museum make this resort really stand out. While it looks less out-there in comparison to Joali Maldives, Nautilus has a bohemian and artistic soul. It’s decorated with intricate patterns, artwork and luxe materials. Nautilus, as the name hints, will be go big on water-sports and water-related activities, including sailing, kayaking and trips to the world-famous Hanifaru Bay to spot whale sharks and mantas. 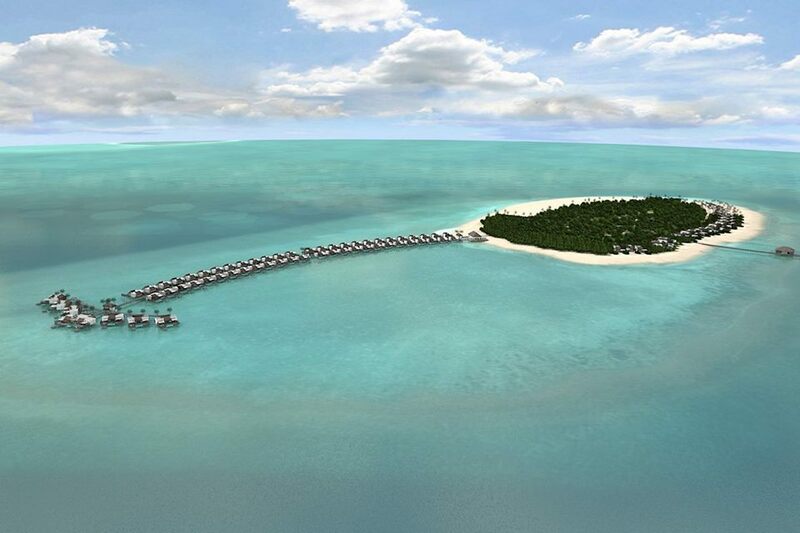 This popular Thai company is opening its’ third resort in the Maldives. 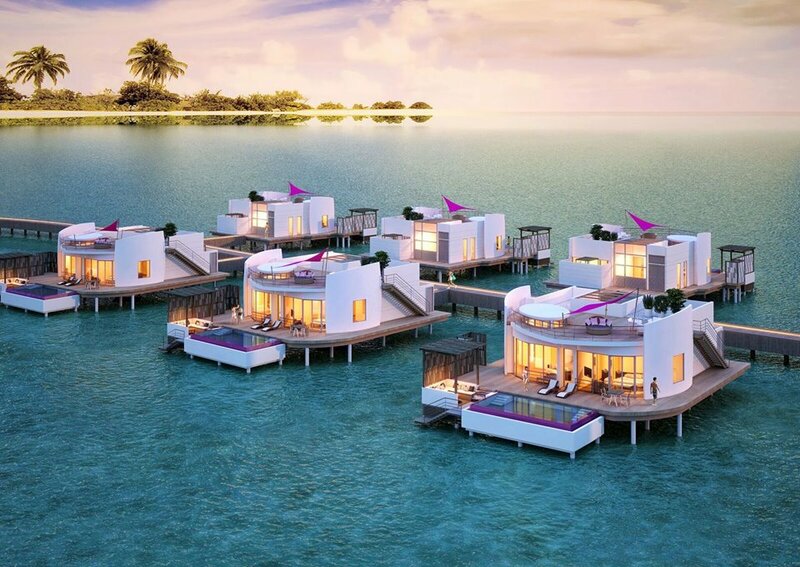 It will be their most luxurious property so far in the Maldives. 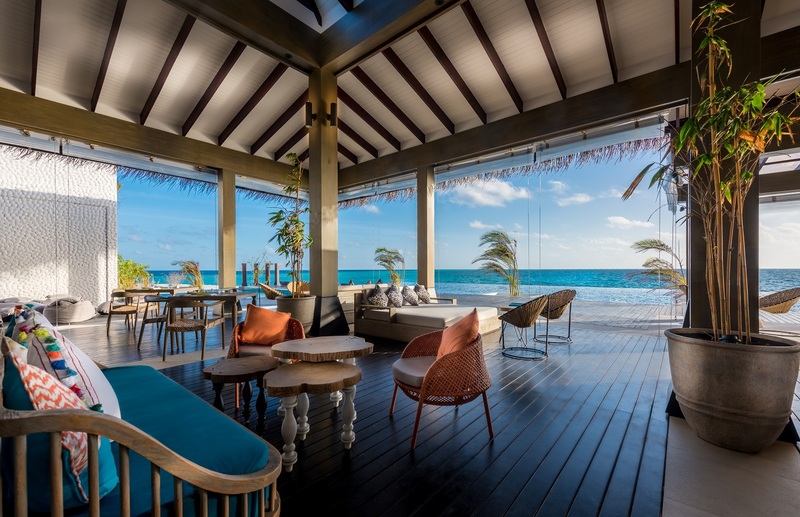 Whereas Centara Grand Island Resort combines quaint colonial-style charm with family fun, and Centara Ras Fushi offers a fun, affordable vibe for millennials, Muthaafushi will offer high-end luxury. 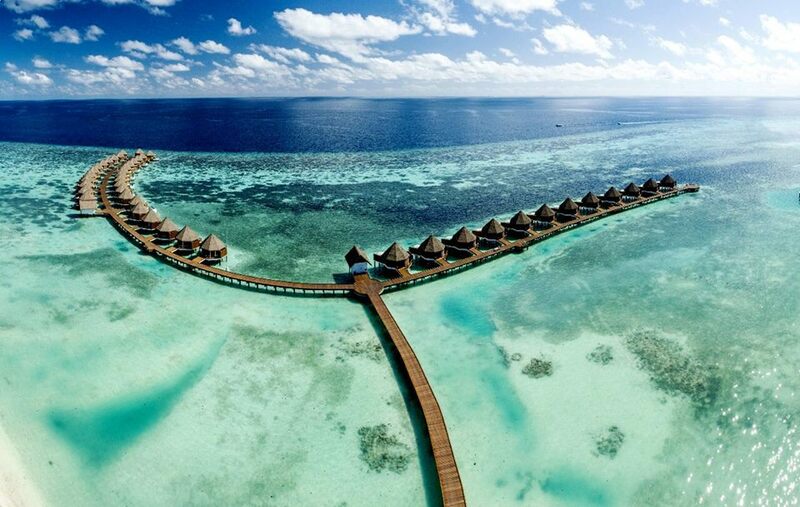 It’s located in Baa Atoll Biosphere Reserve; a haven for wildlife as well as a hub for super-luxurious resorts. 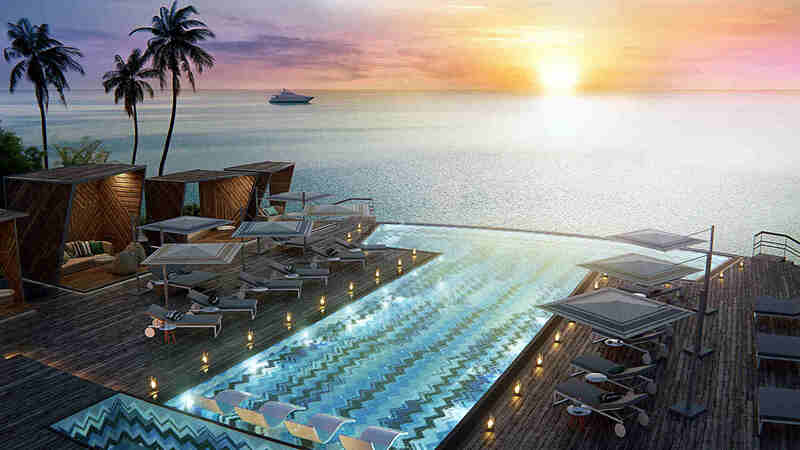 A floating cinema will be one of the highlights of this resort, which is slated to open in 2019. This resort has been created following the success of the Carpe Diem liveaboard fleet, which offers luxury diving holidays in the Maldives. The emphasis will be on fun and socialising for all ages, and there’ll be all kinds of opportunities to mingle at spots including a Floating Aqua Park and Latin dance classes, held on an overwater transparent dancefloor. 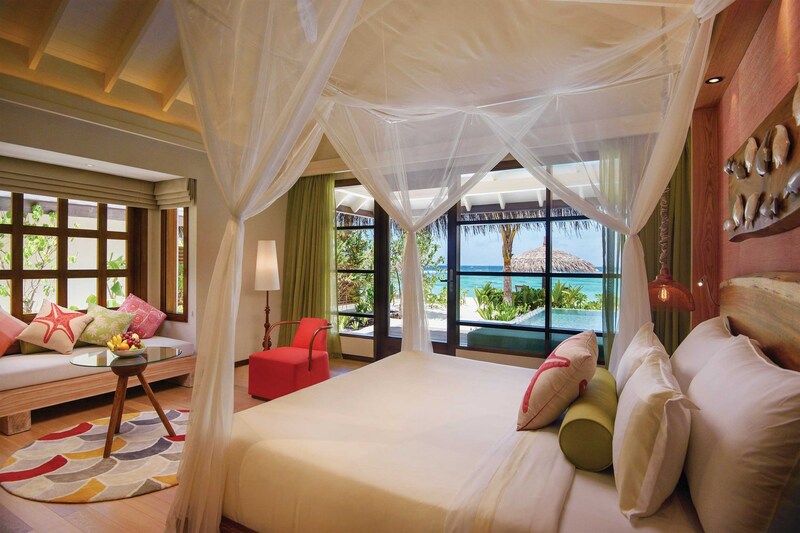 The villas feature clean, simple lines and coral motifs, reflecting the resort’s environmental ethos. It also has a marine centre and coral nursery. If you are interested in any of the resorts featured in this article, feel free to contact Neoscapes today and we will be more than happy to help you plan your dream island getaway!